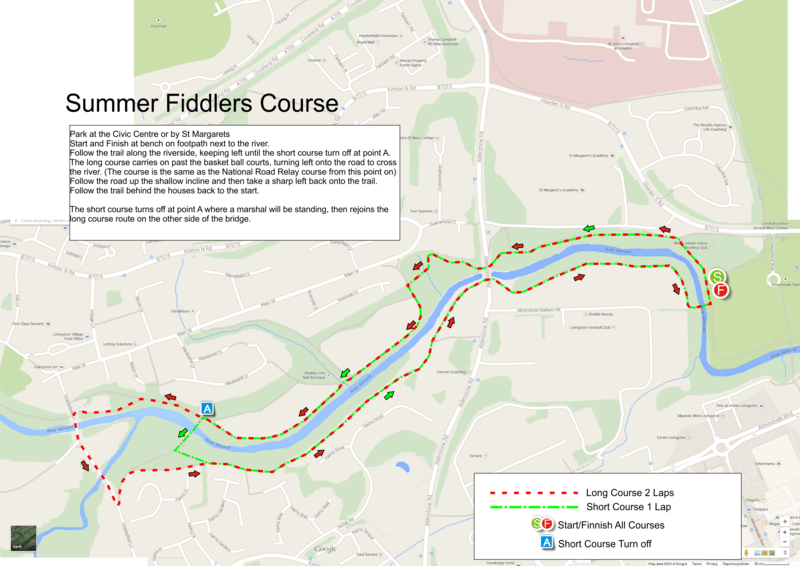 The attached image shows the course for Short and Long Winter Fiddlers courses. 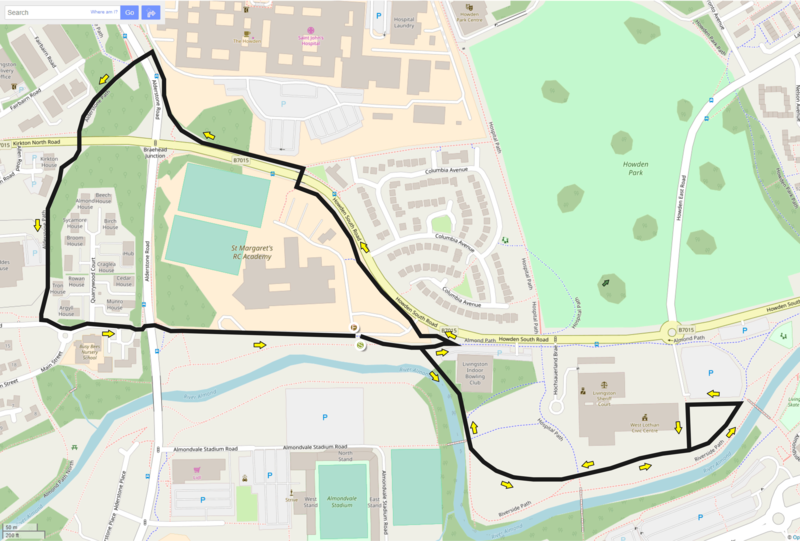 Both Races start and end on the Footpath next to the St Margaret’s Academy car park (point A) and head towards the Civic Centre, where they loop back and returen by the same path. The long course then follows the footpath up the side of St Margaret’s and skirts the Hospital before heading back down the Alderstone Path, before turning left at the roundabout and heading to the start along the front of St Margarets. The full race then covers two full laps of the course. Starting and finishing at thes same spot. 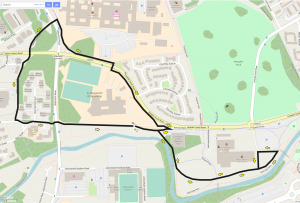 The Short Course follows the same route to begin with, but then turns off to complete a loop of the civic centre. 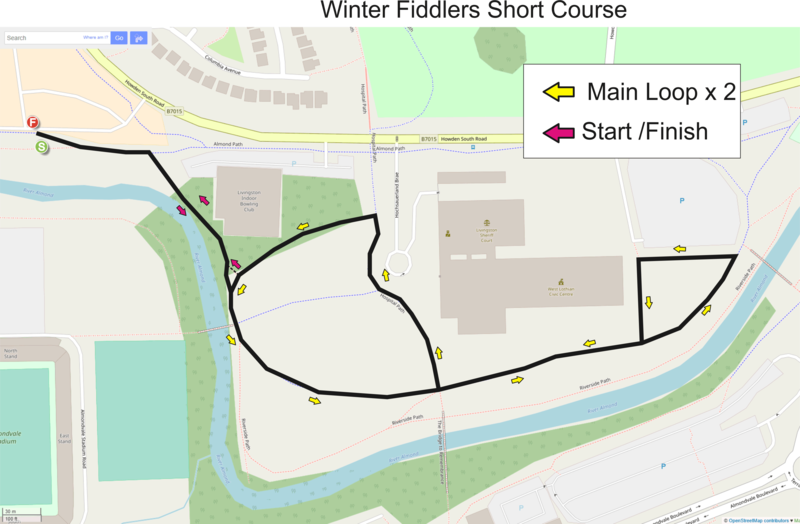 The whole civic centre park section (yellow arrows) should be completed twice, before returning to the start point to finish. The summer course follows a scenic offroad riverside route. 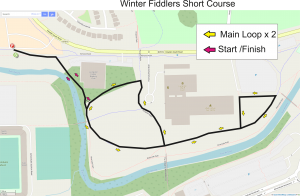 The Long Course covers two full laps, while the short course is 1 slightly smaller lap which crosses the river at an earlier bridge, before rejoining the long course route.